Fuminori Nakamura was born in Aichi in 1977. 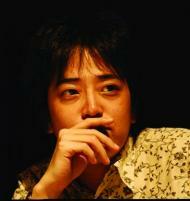 In 2002, he won the prestigious Shincho Newcomer’s Award for his first novel A Gun, and in 2005 he won the Akutagawa Prize for The Boy in the Earth. The Thief, winner of the 2009 &#332;e Prize, Japan’s most important literary award, is his first novel to be published in English.